Home » Telugu » News » NTR Biopic: Who will direct the film after Teja’s exit – K Raghavendra Rao or Singeetham Srinivas? NTR Biopic: Who will direct the film after Teja’s exit – K Raghavendra Rao or Singeetham Srinivas? News has it that Nandamuri Balakrishna may appraoch K.Raghavendra Rao or Singeetham Srinivas Rao to direct the NTR biopic after director Teja opted himself out. Amidst much hype and fanfare, the biopic on the yesteryear legendary actor N.T.Rama Rao was launched in March this year and was titled NTR. The film was being directed by Teja and Nandamuri Balakrishna will be seen playing his father in the film besides bankrolling the project. 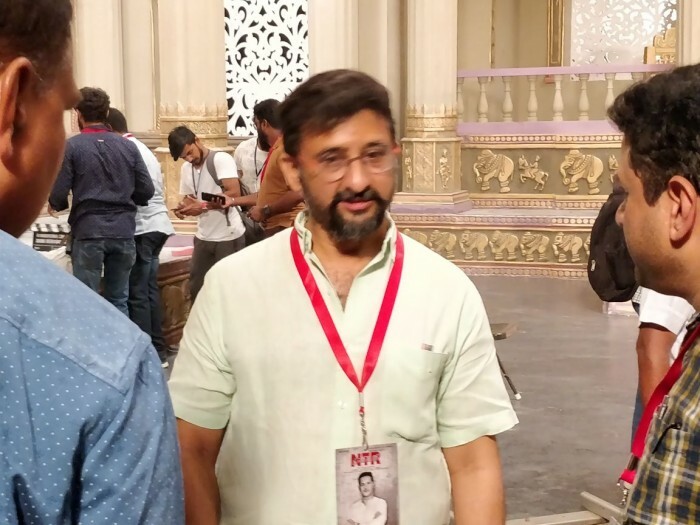 And after just a month after launch, director Teja is said to have opted out of NTR biopic stating he would not be able to handle a project of that large scale. And after his exit, Nandamuri Balakrishna has been left in lurch and the actor-producer is contemplating approaching senior filmmakers in the industry to direct the film. According to latest reports, Nandamuri Balakrishna may approach senior filmmaker K.Raghavendra Rao to direct the film who has a vast experience and was a dear friend of N.T.Rama Rao himself. However, there is no official confirmation yet on this. There are other reports too which indicate that Balakrishna may approach another veteran Singeetham Srinivas Rao to helm the project since he, too, has witnessed the life of NTR very closely. Balakrishna is yet to approach Singeetham Srinivas Rao regarding this but sources reveal that the actor may meet him in couple of days. There are unconfirmed reports too doing rounds that Nandamuri Balakrishna may himself direct the biopic given the fact it is his father’s life. However, near and dear ones opine that Balakrishna shouldn’t take up direction since the project is on a large scale and he should only focus on his acting in the films since it would need all his attention. Fans of the Nandamuri family and the actor are eagerly waiting for an update regarding the film and would like to witness the historical life on big screens. Ever since the biopic on NTR was announced, there has been a lot of buzz around the film amongst fans.